“I love Los Angeles. It reinvents itself every 2 days”. Is it true? Is it false? Maybe it’s completely overrated and plastic but the experience of living in L.A is priceless. It’s the entertainment capital of the world, a hot spot where dreams seamlessly blend with reality. Feeling that everything is possible is as natural as breathing. What does it take to thrive in LA? A career change or career transition in Los Angeles is what you’re looking for? What does it take to drink up the success cocktail to the last drop? Read on, in case you wonder. Los Angeles is incredible when it comes to cultural attractions. L.A. has more museums and theatres than any other U.S. city, and a thriving music and gallery scene. There’s nothing like a concert in Los Angeles, whether it’s a stadium show or intimate jazz session. A L.A. Philharmonic performance at Walt Disney Concert Hall is a must-see, as well as an outdoor concert at the Hollywood Bowl and shows at other famous music venues. L.A.’s world-class museums include the stunning Getty Center in Brentwood and Los Angeles County Museum of Art (LACMA) on Museum Row. Monthly art- walks take place throughout the city, including popular events in Downtown L.A. and Venice Beach. The Los Angeles landscape is filled with architectural masterpieces and wonderful lush gardens. Pritzker Prize winning architects designed icons like Walt Disney Concert Hall, the Cathedral of Our Lady of the Angels, Broad Contemporary Art Museum, and the Getty Center. There’s plenty to experience and get truly excited about. A career change in L.A is exciting due to many business avenues being available. Over the past few years, Los Angeles’ three-tiered, traditional economy consisting of aerospace, entertainment and tourism, has evolved into a well-balanced economic engine driven by unparalleled access to world markets, resulting in major economic expansion and a rapid increase in executive job opportunities in LA. Executive search consultants, or headhunters, who specialize in the auto industry often do business in LA, and therefore those seeking an executive position in automotives should consider the Los Angeles job market. 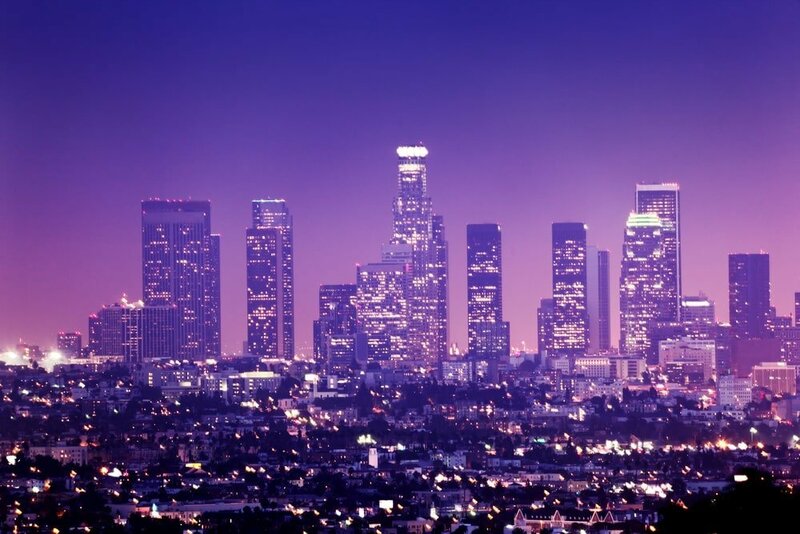 Los Angeles is a home to one of the largest finance industries in the United States with more than 100 foreign banks and countless domestic banks operating branches in LA. Many financial law firms and investment banks operate in the city as well. With this large presence, there are many executive positions and the corresponding search activity is high. The city’s large population allows executive jobs of all kinds to be available in LA, frequently filled by LA executive recruiters. It’s no surprise that entertainment in the form of film, television and music production is the best-known industry in Los Angeles, focusing worldwide attention on the city and making LA a major tourist destination. However, it’s useful to know that the entertainment industry does not account for the majority of executive jobs in LA. The industries in the Los Angeles area with higher potential for executive recruitment include education, architecture, residential and commercial construction, health services, high-technology research and development, and engineering. Good Luck in L.A! If you would like to discuss how working with an executive career coach could help accelerate your career, get in touch to arrange a call.